It’s easy to answer ‘Yes’ to this question without really thinking about it. Of course I feel lovable. Of course I love myself. But do you really? Often, when we take the time to reflect, we realise that we don’t feel great about ourselves. There might be superficial reasons for this – we may feel unattractive or overweight – but often, if we look deeper, we discover that our self-worth took a knock much earlier in life. Maybe, through no fault of their own, our parents failed to show us the love we needed to feel secure, safe and enough. Maybe they left us, because of divorce or death, leaving us with a feeling that it was somehow our fault, that there was something wrong with us. Maybe we were rejected by a friend or a former partner who left us for someone else. Maybe these experiences left deep scars, which we may have ignored because they were too painful to feel. We all have memories like these, in some form or another. We all have wounds. The key is to become aware that they exist and that we have to feel them to heal them. If we don’t process our wounds, they’ll sabotage all our relationships. We’ll go dating or enter into partnerships feeling not good enough or fundamentally unlovable. In this state, we’ll attract unhealthy people and we’ll expose ourselves to hurt. We’ll keep making the same mistakes and keep getting the same results. One way we can heal the wounds from the past is by re-parenting ourselves, by affirming ourselves and by treating ourselves as lovable, precious children. We can care for ourselves and act in a loving way towards ourselves. We can take the time to identify our needs – our emotional, physical and spiritual needs – rather than rushing through life, working too hard, running too fast or eating too much. I used to be guilty of rushing, over-working, running and over-eating. I might have thought I loved myself because I was trying hard and achieving my professional goals, but at what cost? My personal life suffered. My relationship with myself was virtually non-existent. My relationship with God was a distant memory. I was running on empty. There’s a mantra that’s been important to me on my own journey of transformation: self-esteem comes from doing estimable things. So what estimable things can I do for myself today? We all have our own routines and preferences but for me, taking some time in the morning to connect to myself and to God are estimable acts. I am valuing myself and my spiritual connection enough to give them some space at the start of my day. Making time to nourish myself with healthy food is another estimable act. For years, I binged and starved and binged, on sugar and carbs, both as a way to avoid my painful feelings and because I couldn’t be bothered to cook. Today, I know my body and mind deserve better treatment. Exercising is another estimable act, provided I exercise in a self-loving way rather than a punishing one. When I take time to walk or jog on the beach or in the park, or to strengthen my core with exercises like Pilates, I am signalling to myself that I am worthy. Connecting with others is also an estimable thing to do. I remind myself that I’m a human being rather than a human doing when I pause to spend time with family or friends. These are small acts of self-love but they can make a huge difference to how we feel about ourselves. They can also make a big difference to how we behave on dates and in relationships and to the kind of people we attract. If we have healthy self-esteem, we’ll be more able to set boundaries on dates. With healthy self-esteem, we’ll be more able to ask for our needs to be met and to walk away from relationships if our needs are being trampled on. With healthy self-esteem, we’ll be more able to connect to our intuition and trust ourselves and God. We’ll believe, on a deep level, that we deserve love and respect. So what small acts of self-love can you do today, this week or this month? 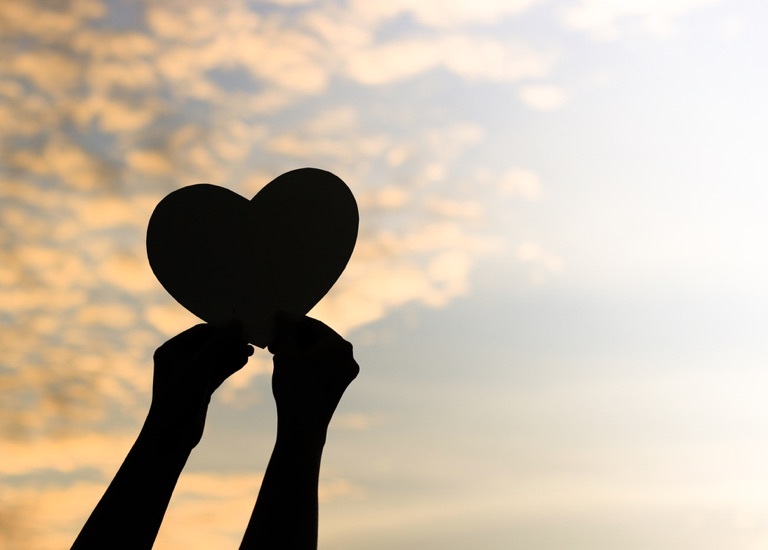 What steps can you take to give yourself the message that you are valued, loved and lovable? I believe this is the path to a healthy relationship.